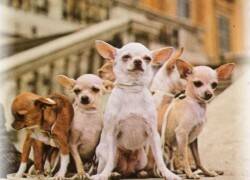 Chihuahuas are a special breed of dog. Despite their diminutive size, they perceive themselves as much larger, more important animals. All dogs think in terms of “pack logic”. When a dog becomes a member of a new household, the dog does not assess its “rank” according to its place among the other pets (if there any), because they do not differentiate between dogs and humans. Dogs think that people are, in fact, “tall dogs”. It might be to the special care that humans offer their Chihuahuas, that they automatically assume they are the “alpha dog” in a family. 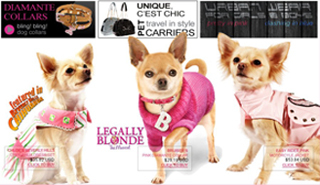 After all, they are very often hand fed, they wear dog clothing, they have their own special Chihuahua gifts and toys, they always sleep inside the house, and are generally spoiled in comparison to other dog breeds. From an early age, it is important for you to start training your Chihuahua to behave properly. If you neglect to do this, any negative traits they have, such as barking incessantly and biting people, will only get worse with time. You need to demonstrate to your Chi that you are the “alpha dog” of your household. Here are a couple of Chihuahua training tips: you should start training Chi puppies from the age of 2 months, any earlier may be counter-productive. When you do your training, make sure there are no distractions for your Chi, so avoid having the television on if you do this indoors. The optimal training session is 20 minutes long, anything longer will just confuse your Chi. Try to conduct three training sessions per day, with a minimum of one hour between sessions. If you choose to use tasty treats as “rewards” as part of your Chi training regime, avoid sugary ones. Chihuahuas already have blood sugar issues, and introducing sugar into their diet just complicates things for their metabolism. Only give your Chi a reward when they actually do something correctly. The same goes for verbal rewards. Don’t say: “Good girl!” if your Chi has done nothing more than fail to misbehave. You need to stay consistent, and be very patient. 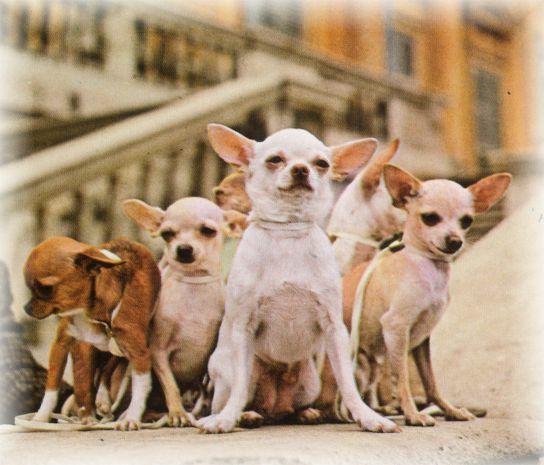 Chihuahuas can be trained just like any other dog. If your Chi does something wrong, stop them from doing so as gently as possible and try to reinforce the proper behaviour or response. Do not shout at your Chi all the time, and never use physical punishment. This will just scare your Chi and quite possible harm them… they are delicate, despite their bravado and excitable temperament. Combining voice commands with hand signals, will make your Chi understand and recognise your commands more easily. Avoid using similar sounding words for different commands. You can even consider using foreign words for basic dog commands – many K9 police dog trainers and officers use German to communicate with their dogs. 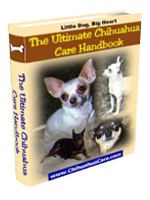 Your Chihuahua will be intensely loyal and protective over you, so it is important that you ensure that your Chi follows your orders and does not act aggressively towards strangers and other dogs. Your Chi needs obedience training and structure. If you don’t actively enforce obedience, you will end up with an unmanageable little tyrant on your hands – especially if your Chi is not your only pet. Potty training is especially important. Chihuahuas are tiny, and they tend to eat a series of small meals every day – that means they need to defecate many times a day. This can get very messy. Having a Chi, or more than one Chi that is untrained, can negatively affect your entire household: refer to MTV’s series The Osbournes, where the Pomeranians, Chins and Chi’s take over the house like they own it.